Looking to sell an unwanted fireplace? We often get asked questions like "Are you interested in buying a fireplace I’ve removed?" and quite often the answer is yes. 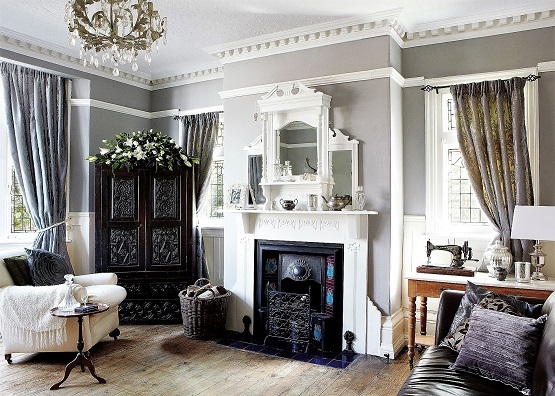 Britain's Heritage restore and sell Antique fireplaces. We can take it off your hands in any condition. The form below can be used to send us details about the fireplace you are looking to sell. What to do if you have an unwanted fireplace? If your fireplace is still in situ, take photos, making sure that the finer detail and any damage is captured and is clearly visible. At a minimum, take measurements of the width and height. We buy Georgian, Regency, Victorian, Edwardian, Art Nouveau, Arts and Craft, Art Deco and even some reproduction styles. Use our form below to provide us with the details we need, we will then make you an offer and arrange collection with your payment. We usually respond to all emails within 24 hours but please note that our opening times are Tuesday to Saturday 9:30am to 5:00pm and so for some emails sent on Saturday it can be Tuesday before we will be able to reply. We will review your fireplace and images and get back to you to let you know if we are interested and if so, send you an offer. We will then arrange with you to pick up the item.